Experts in music...experts in sound...with 85 years of combined experience in the music field. 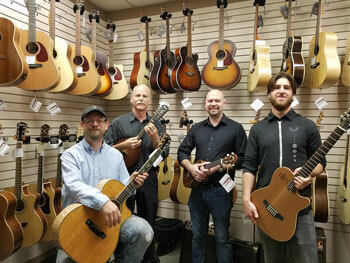 When you're shopping for musical equipment, you won't find anyone better than the guys at Instrumental Music & Sound of Ludington. They are your only local source for anything pertaining to music, and their knowledge is just what you need when making your important purchase. Their philosophy is to never sell you the most expensive piece of equipment or instrument in the store just to make a sale. They want to sell you the RIGHT one so you're happy and keep coming back to the guys you can trust. There's no reason to travel to the bigger cities if you're looking to buy. The selection and variety of instruments here is incredible. 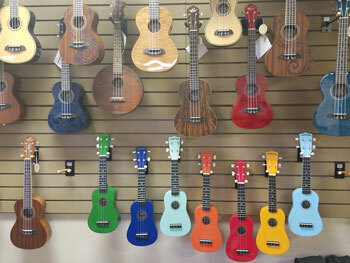 Acoustic and electric guitars, basses, digital pianos, keyboards, percussion, banjos, ukuleles, mandolins and much more are all found at Instrumental Music & Sound, and they'll be happy to show you any model. They carry many major brands such as Tama, Schecter, Zildjian, Gretsch, Charvel, Paul Reed Smith, Supro, Tech 21, Shure, EV, Washburn, Eden, Larrivee, Seagull, Peavey, Korg, Yamaha, and Blackstar. And if you don't find what you're looking for, just ask! 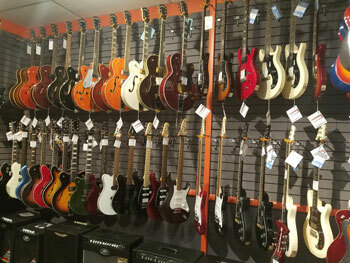 Because of limited space, Instrumental Music & Sound can't display their entire inventory, but have access to thousands of items from most of the other well known brands. Check with them before you buy elsewhere...their service and prices can't be beat! With the fantastic band programs here in Ludington and surrounding communities, they pride themselves in supporting our schools by offering a variety of band accessories. They can also locate and print out--right on the spot--most any music you may be looking for. Maybe you just bought your instrument, or you've had one hidden away for years and never touched because you didn't know how to play it. Instrumental Music & Sound comes to the rescue with personal one-on-one lessons that will get you started on your "musical career!" Typical half hour lessons are convenient and can fit into your busy schedule. The name says it all....Instrumental Music & Sound...which means they deal with not just music but the way you hear it. They carry sound, video and P.A. systems from simple to complex. They can consult with your church, office, or school then set you up with the right equipment that fits your needs and your budget. Instrumental Music & Sound has over 30 years experience in sound systems so they know their stuff! Stop in, take a look, and be prepared to be impressed. They're located in the first block of south James Street right in downtown Ludington. Open Monday-Saturday from 10am-6pm. 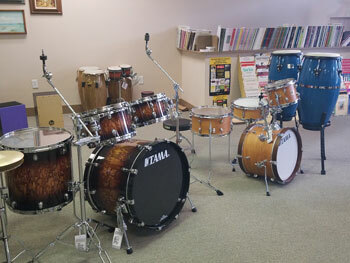 Music is the universal language...see how good it sounds over at their place...Instrumental Music & Sound of Ludington.